McALLEN — Two Mission men each pleaded guilty to a federal drug charge in connection with the sale of meth last April. 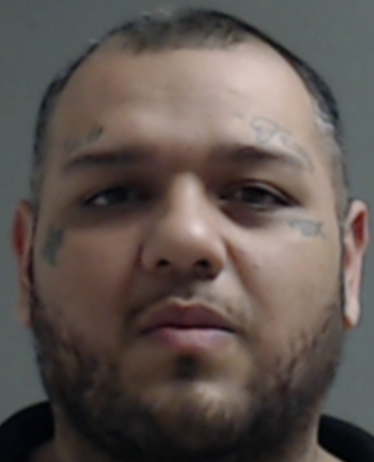 Anthony Joe Cortinas and Enrique Huerta Jr. each pleaded guilty Monday to one count each of conspiracy to possess and distribute a kilo of methamphetamine in an H-E-B parking lot last year. Standing before U.S. District Judge Micaela Alvarez, Cortinas and Huerta each pleaded true to count one of a complaint filed against each of the men, specifically one charge of conspiracy to possess and distribute a controlled substance. Their charges stem from a drug deal in the parking lot in Mission that was facilitated by at least one confidential informant. Federal authorities came across Huerta and Cortinas on April 15, 2017, when they met with a confidential human source, referred to as CHS in the complaint, in McAllen. Jaramillo directed the source to go to H-E-B where they would then meet with two more people, identified as Jose Luis Gonzalez and Alyssa Garza and a minor, according to the complaint. All five then drove to a residence in the 2000 block of Cummings Street in Mission, which was later identified as Huerta’s place of residence. From there, the vehicles carrying the source and Jaramillo, and the vehicle carrying Garza and Gonzalez, left Huerta’s residence in Mission and met up back at the H-E-B in Mission, court records show. “The vehicles traveled to a gas station, and then back to the H-E-B on Conway Road where Garza argued with someone on the phone over the price of the methamphetamine,” the complaint states. Garza and Gonzalez headed back to the residence in Mission, with Cortinas following them in a Mercedes Benz SUV “to make sure Garza didn’t get pulled over by law enforcement,” the complaint states. Once again, Garza and Gonzalez departed the Mission residence and headed toward the grocery store where they previously met to complete the sale. “Gonzalez retrieved a shoe box from the passenger compartment of the SUV and handed it to the CHS. Garza indicated that the methamphetamine was wrapped in her daughter’s blanket and told the CHS to bring the blanket back because her daughter was cold,” the complaint states. FBI agents followed the source’s vehicle to a gas station where he dropped off Jaramillo. The source returned to where FBI agents were located where he dropped off the meth given to him at the H-E-B, the complaint states. “Inside the box was a white crystalline substance later tested positive for methamphetamine,” the court documents state. In total, authorities said the meth weighed 971 grams. Garza, Jaramillo and Gonzalez were all arrested in connection with the drug conspiracy. Upon a search of Garza’s phone, federal agents found messages that showed communication between the woman and Huerta beginning April 14, 2017, the complaint states. Within those messages were also voice-recorded messages between Huerta and Garza, and Cortinas and Garza, related to the sale of the meth. A confidential witness, referred to as CW1 in the complaint, confirmed Huerta’s voice on the voice messages. Huerta later sent Garza a message stating that the supplier had agreed to sell the meth for $4,800. Last December, Jaramillo pleaded guilty to one count against him, a conspiracy charge, and was sentenced to 60 months in federal prison on Feb. 14, court records show. 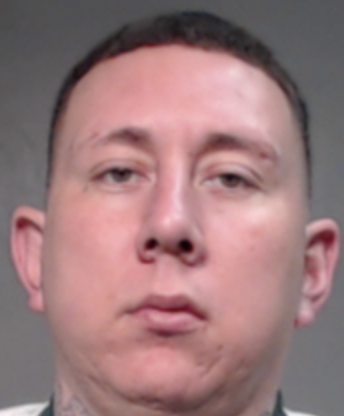 Gonzalez also pleaded guilty in December 2017 to the conspiracy charge and was sentenced to 120 months in federal prison, with five years of supervised release upon the completion of his prison sentence, court records show. Garza, who also pleaded guilty to one count against her in December 2017, is set for sentencing May 15, court records show. Huerta and Cortinas are scheduled for sentencing June 20 and could face up to 10 years in prison.